12/07/2017 Special event stations are on the air to commemorate the 76th anniversary of the attack on Pearl Harbor in 1941. The Azalea Coast Amateur Radio club (NI4BK) is sponsoring a special event to commemorate Pearl Harbor Day from the Battleship North Carolina (BB-45) Memorial in Wilmington, North Carolina. Two stations will be on the air on voice, digital, and CW modes (SSB on or about 14.227 MHz; CW on or about 7.050 MHz. A special QSL is available. The Amateur Radio Club of the National Electronics Museum (K3NEM) is sponsoring special event station W2W until December 10, 1300-2200 UTC each day, from Baltimore, Maryland, to commemorate Pearl Harbor Day, December 7, 1941. Frequencies are on or about 14.241, 14.041, 7.241, and 7.041 MHz. For a certificate and QSL, contact W2W Special Event Station, Box 1693, MS 4015, Baltimore, MD 21203. 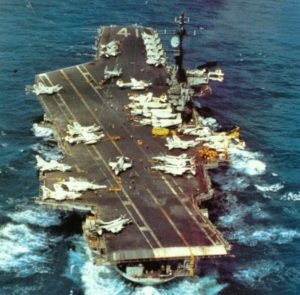 The USS Midway (CV-41) Museum Ship will sponsor a special event for Pearl Harbor Remembrance Day, December 9, 1700-2359 UTC, from NI6IW in San Diego, California. Listen for NI6IW on or about 14.320 and 7.250 MHz SSB, 14.070 MHz PSK31, and D-STAR on REF001C. QSL to USS Midway CV-41 COMEDTRA, 910 N Harbor Dr, San Diego, CA 92101.